Former Seahawks staff member Sandy Gregory received the Paul G. Allen Award at the 84th Annual MTRWestern Sports Star of the Year. The award is “given to an individual who has made a significant or compelling philanthropic contribution (to Seattle sports),” according to Visitseattle.org. Any Seahawks player, staff member, or member of the surrounding community can attest to Gregory for being just that. Gregory retired in June of 2018 after being with the franchise for 42 years. Throughout her tenure with the team, Gregory served under various titles ranging from public relations assistant to senior director of legends, team history, and special projects. Seahawks Legend Jacob Green had the honor of presenting the award to Gregory on stage. She was a fundamental part of starting the Ring of Honor defensive end’s annual golf tournament to raise funds for Fred Hutchinson Cancer Research Center. Green was accompanied by Seahawks play-by-play announcer Steve Raible and a group of Seahawks Legends that Gregory has impacted in their NFL careers. In her acceptance speech, Sandy expressed gratitude to the Seattle sports community by saying, “I never did an event or project without help from others. So thanks to all the people, the organizations, and charities that I’ve worked with over the years for all your support." “Sandy was instrumental in my career. Oftentimes people forget about those behind-the-scenes components. I know for sure that my life was easier because of how easy she was to work with. Sandy is not just staff, she is family, and I am extremely honored to be able to witness her get the recognition she deserves,” says Walter Jones, Pro Football Hall of Fame Class of 2014. Seahawks wide receiver Tyler Lockett and linebacker Shaquem Griffin were also nominated for Male Sports Star of the Year and Sports Story of the Year, respectively, but did not receive the awards. Gardner Minshew II, the former Washington State University quarterback, won 2018 Male Sports Star of the Year while the Seattle Storm's 2018 WNBA Championship was the 2018 Sports Story of the Year. Although neither Seahawks player received an award, Lockett supported the Washington sports community by attending and representing the Seattle Seahawks.  The MTRWestern Sports Star of the Year is not an unfamiliar event for the Seahawks, as multiple players have received the Male Athlete of the Year award in the past including Seahawks linebacker Bobby Wagner (2016), defensive end Michael Bennett (2015), safety Earl Thomas III (2014), and quarterback Russell Wilson (2013). The Seahawks also received the Sports Story of the Year award in 2014 for their Super Bowl XLVIII victory and in 2012 for Seahawks running back Marshawn Lynch’s dominant season with the team. 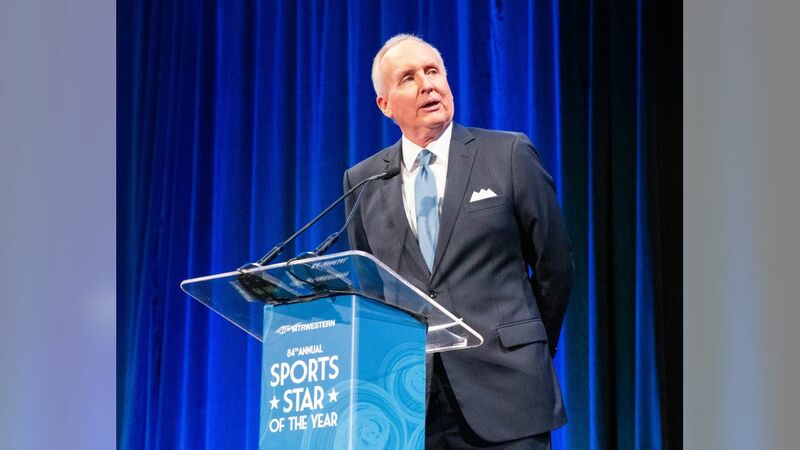 The Seattle Sports Commission has hosted the MTRWestern Sports Star of the Year for the past nine decades. The event was created in 1936 to celebrate the accomplishments of Washington sports. The awards show is formatted to feature the athletes, coaches, philanthropists, executives, and stories of the respective year.